Unilever is rolling out a new look for Hellmann's mayonnaise and an improved recipe for its Light variant in a bid to shore up its market-leading position. The redesign uses a "more contemporary, deli-inspired colour palette", a spokesman said, while the new Light recipe is free from artificial flavours, colours and preservatives. Hannah Webb, senior brand manager for Hellmann’s at Unilever, said: "Consumers are increasingly looking for authentic and natural offerings when it comes to their food choices. "Our relaunch is not just about a new packaging design or campaign, it is a new positioning which will permeate across everything we do moving forward." The new look was created by Design Bridge and took inspiration from the brand's origins in a New York Deli. Mike Stride, creative director at Design Bridge, said: "Our challenge was twofold: to broaden people’s perceptions of Hellmann’s as being so much more than just a mayonnaise brand, and to move Hellmann’s away from its existing bright, synthetic branding to a more natural aesthetic rooted in their belief in real food, made with real, simple ingredients." 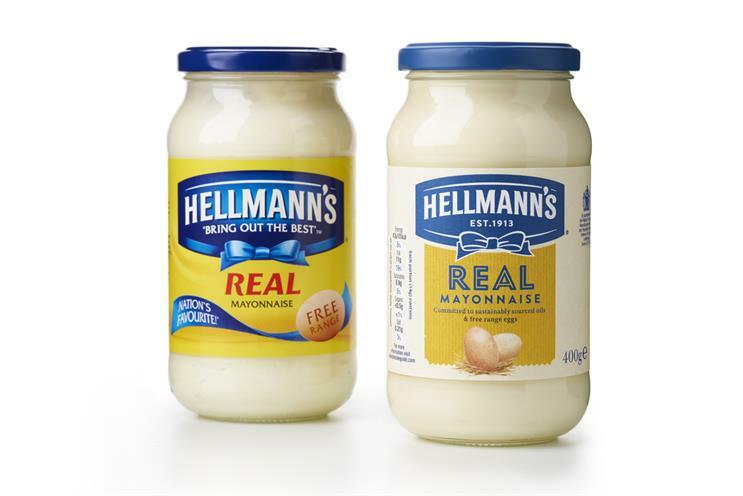 Hellmann’s enjoys a huge share of the branded mayonnaise market, with UK sales of Hellmann’s Real and Light mayonnaise in the year to last October of £94.3m (Nielsen). But Heinz made a statement of intent last March when it withdrew its previous, poorly performing mayonnaise from the market and introduced [Seriously] Good Mayonnaise, which comes in a distinctive barrel-shaped jar and managed sales of £5.9m in its first six months. Last month, it briefly appeared that Heinz and Hellmann’s could become sister brands when Kraft Heinz made a bid to acquire Unilever – but the approach fizzled out within days. Which surprise food did Unilever tell Swedes to make with Hellmann's mayo?